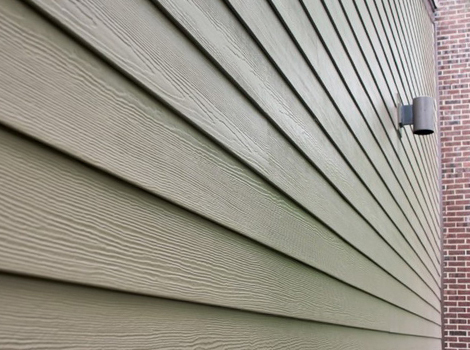 Take a look at some of our completed siding and roofing projects. 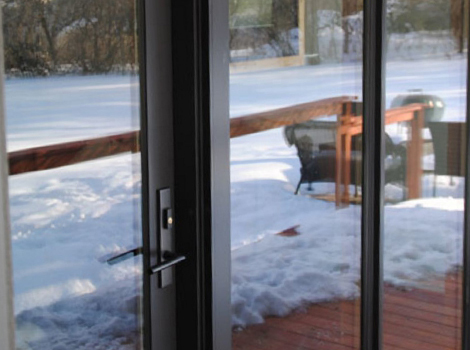 Here you will find what materials were used for exterior remodeling projects, their locations, price ranges, and year. 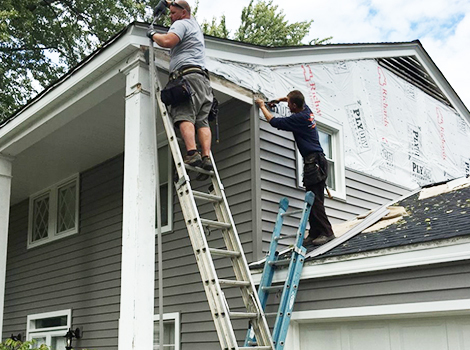 Project Year: 2016 Project Cost: $10,001 - $25,000 Location: Inverness, IL Siding replacement with Premium Pointe vinyl siding, soffit, fascia replacement, new door and windows wrap. 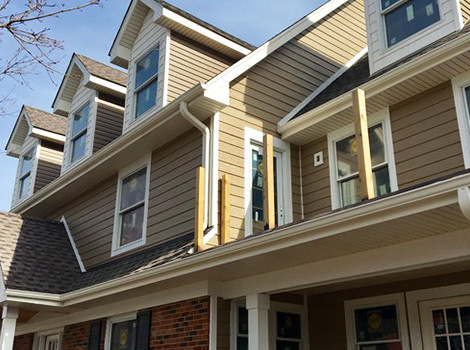 Project Year: 2016 Project Cost: $25,001 - $50,000 Location: Northbrook, IL James Hardie lap siding and shake installation. 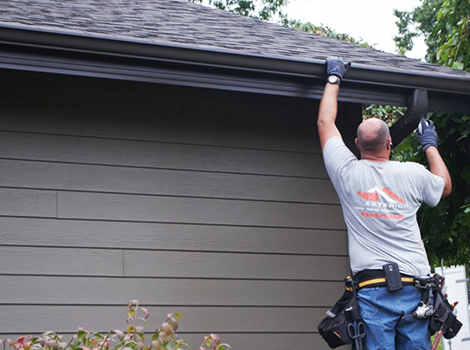 Replaced windows trim, LP soffit and fascia, gutters. 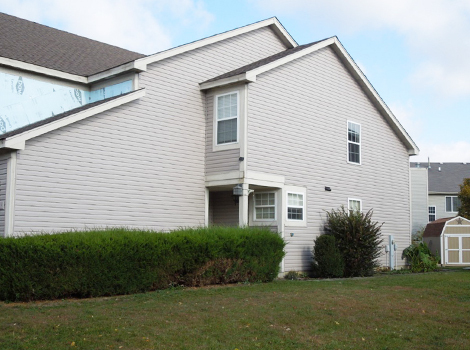 Project Year: 2017 Project Cost: $25,001 - $50,000 Location: Naperville, IL Siding and gutters replacement with LP Diamond Kote siding. 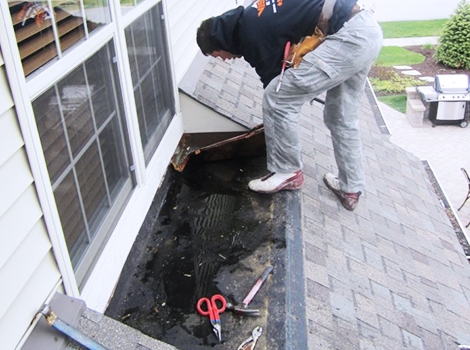 Project Year: 2013 Project Cost: $13000 Location: Naperville, IL Roofing replaced with 30 years Architectural IKO shingles. 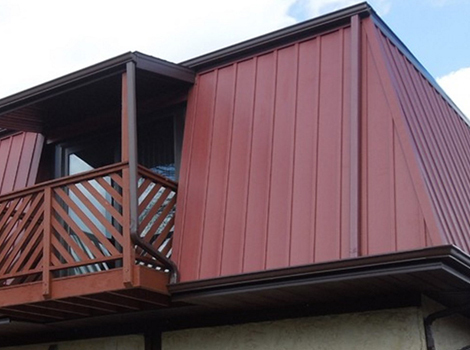 Project Year: 2012 Project Cost: $1200 Location: Naperville, IL Small hail and wind damage repair: aluminium wrapping replacement. 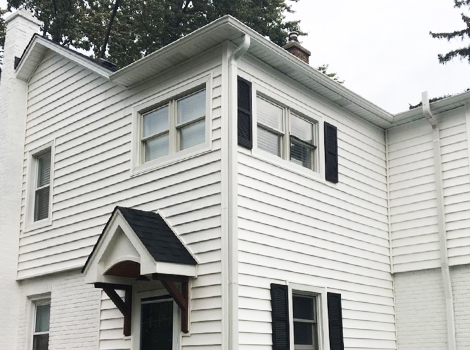 Project Year: 2016 Project Cost: $10,001 - $25,000 Location: Lombard, IL Complete exterior renovation: GAF Timberline shingles and Prodigy double 6" vinyl siding installation. 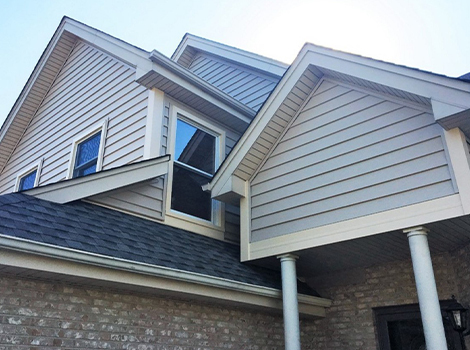 Project Year: 2016 Project Cost: $25,001 - $50,000 Location: Glen Ellyn, IL Siding, soffit and fascia replacement with LP SmartSide products, GAF Timberline shingle roofing and aluminum gutter installation. 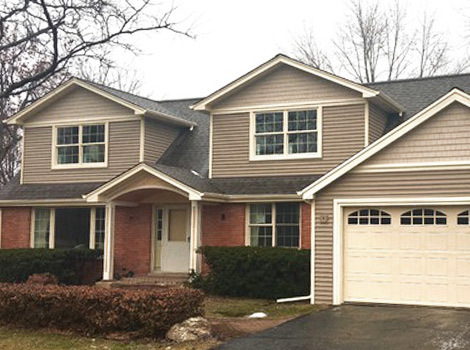 Project Year: 2015 Project Cost: $10,001 - $25,000 Location: Gurnee, IL Hail damage restoration: new 30 years GAF Timberline shingles and vinyl siding. 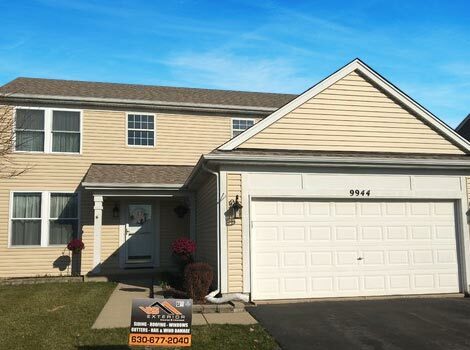 Project Year: 2012 Project Cost: $44000 Location: Mundelein, IL Hail damage restoration: new GAF Timberline shingle installation, vinyl siding, gutters and downspouts replacement. 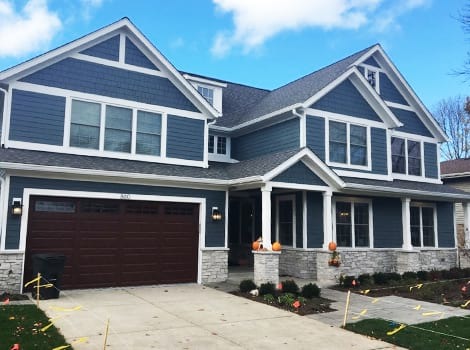 Project Year: 2015 Project Cost: $10,001 - $25,000 Location: Darien, IL Alside insulated "Prodigy" vinyl siding and GAF Timberline shingle installation project. 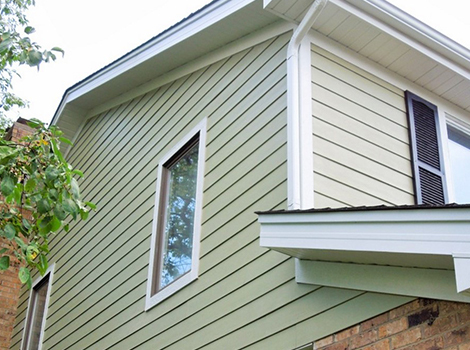 Project Year: 2014 Project Cost: $20.000 Location: Northbrook, IL James Hardie shingle and lap siding installation. 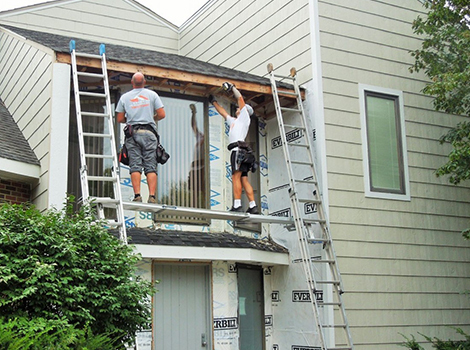 Project Year: 2016 Project Cost: $5,001 - $7,500 Location: St. Charles, IL Structural adjustments made by cutting openings for a picture windows installation project. 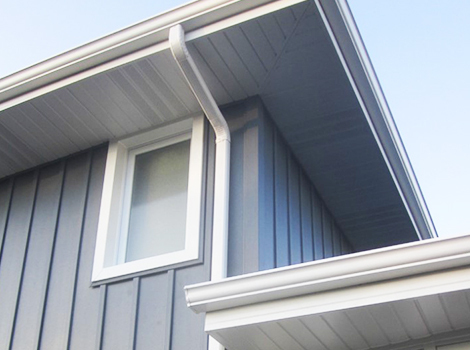 Project Year: 2016 Project Cost: $10,001 - $25,000 Location: Downers Grove, IL Double 5' vinyl siding and LP Smartside column installation, soffit, fascia and gutters replacement project. 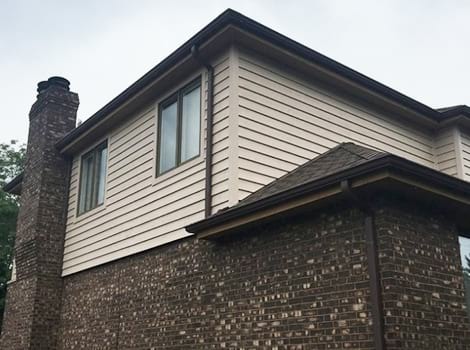 Project Year: 2016 Project Cost: $10,001 - $25,000 Location: Downers Grove, IL Exterior makeover: cedar lap siding and GAF Timberline shingle roofing installation. 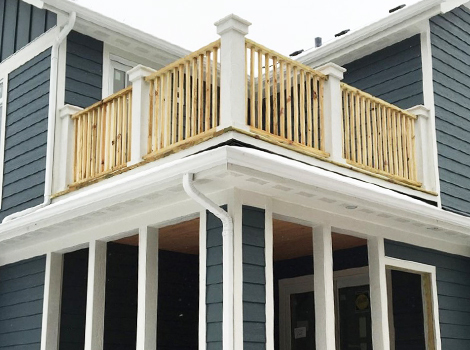 Project Year: 2016 Project Cost: $25,001 - $50,000 Location: Orland Park, IL James Hardie lap siding, GAF Timberline Architectural shingles, aluminum soffit and fascia, aluminum gutters and downspouts. 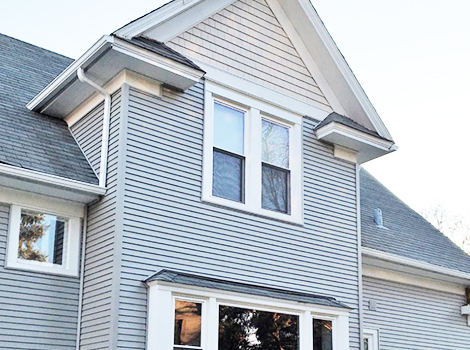 Project Year: 2016 Project Cost: $10,001 - $25,000 Location: Arlington Heights, IL Old siding replacement with vinyl shakes, and previous window replaced with bow window with aluminium roof. 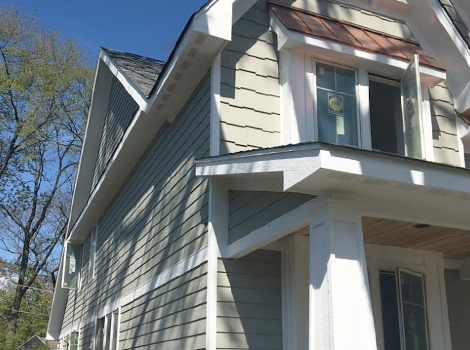 Project Year: 2016 Project Cost: $25,001 - $50,000 Location: Downers Grove, IL LP SmartSide siding installation with new soffits and fascia, refreshed window trim and columns. Project Year: 2010 Project Cost: $15000 Location: Downers Grove, IL Board & batten vinyl siding installation, aluminum soffit and fascia replacement, GAF Timberline architectural shingle roofing installation, new vinyl casement windows. 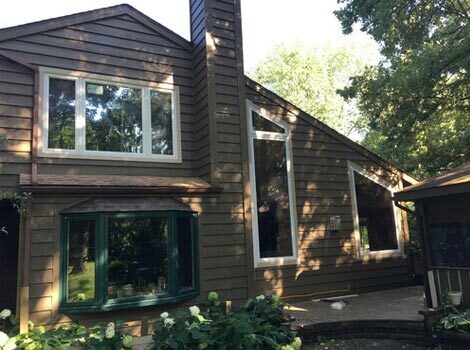 Project Year: 2014 Project Cost: $4000 Location: Barrington, IL Our crew cut larger openings to fit in the new Marvin windows. 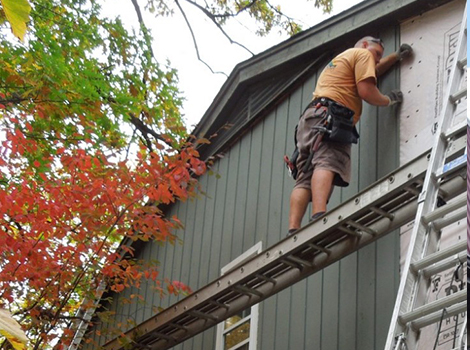 Project Year: 2013 Project Cost: $10000 Location: Palos Hills, IL Board and batten siding & roofing installation project, new windows and gutters were added as well. Project Year: 2012 Project Cost: $8000 Location: Willowbrook, IL James hardie lap siding installation, windows and doors trim replacement with LP SmartSide products, aluminium soffit and fascia installation, gutters and downspouts replacement. 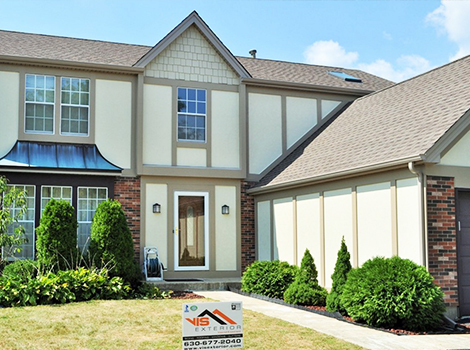 Project Year: 2012 Project Cost: $27000 Location: Northbrook, IL James Hardie lap siding and Hardie shake installation, soffit, fascia, windows & doors trim replacement with LP SmartSide products. 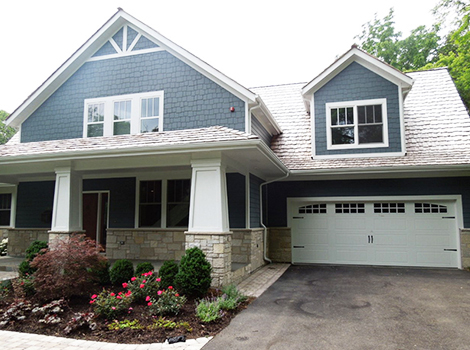 Project Year: 2013 Project Cost: $25000 Location: Oak Brook, IL LP SmartSide shake siding installation and soffit, fascia and windows trim replacement. 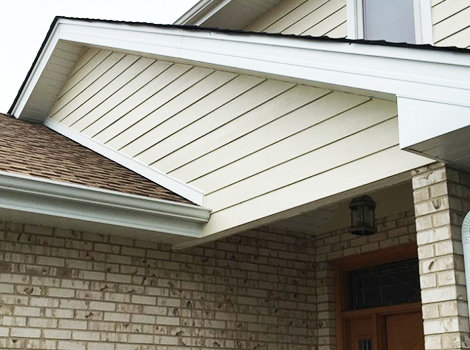 Project Year: 2015 Project Cost: $25,001 - $50,000 Location: Medinah, IL James Hardie siding installation, trim, soffit, fascia and roofing replacement. 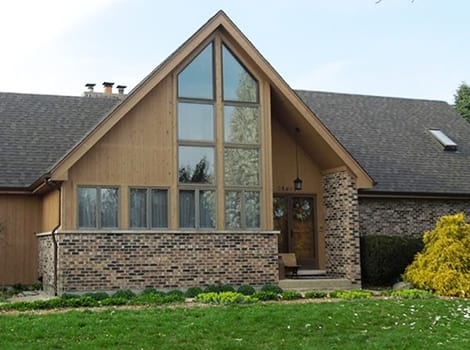 Project Year: 2010 Project Cost: $8000 Location: Rolling Meadows, IL Exterior and interior makeover: cedar siding suits both.